*This link will take you out of Heartland Co-op to the Heartland Credit Company, LLC landing page. *Your first visit will require you to ENROLL in the system. You will need to use one of your Input Finance Loan Numbers for the Account Number, NOT your Heartland Co-op customer number. *The Enrollment process will let you select a User ID to use for online Heartland Credit Company access going forward and is separate from online customer log-in with Heartland Co-op. Crop Input Financing is convenient and low cost with Heartland Co-op. Send the completed crop input application to your Heartland Co-op agronomy salesman. 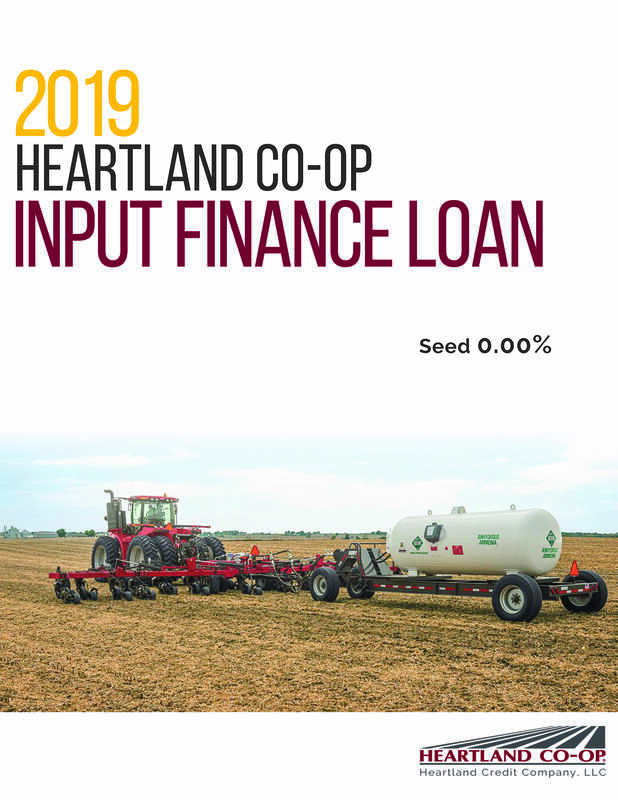 As soon as your loan is approved you can use the proceeds for any crop input product sold by Heartland Co-op, including fuel. You also have the option to use funds for third party crop input expenses including cash rent and crop insurance. Contact your Heartland Co-op agronomy salesman or Don Frazer for additional information. Heartland Co-op offers convenient charge accounts designed to make it easy for you to purchase from Heartland Co-op. Choose the appropriate application below. After you have completed and signed the application, fax it to (515) 225-8511 or drop it off at one of Heartland's locations. A letter will be sent to you indicating the status of your application. Heartland Co-op also offers Automatic Bill Pay for your convenience. Simply complete the automatic bill pay form authorizing payment to Heartland Co-op and return it to one of our locations. On the 25th of each month (or the next banking day) we will notify your bank or financial institution of the amount to be transferred from your checking or savings account to pay your cooperative bill. The deduction will show up on your regular bank statement.